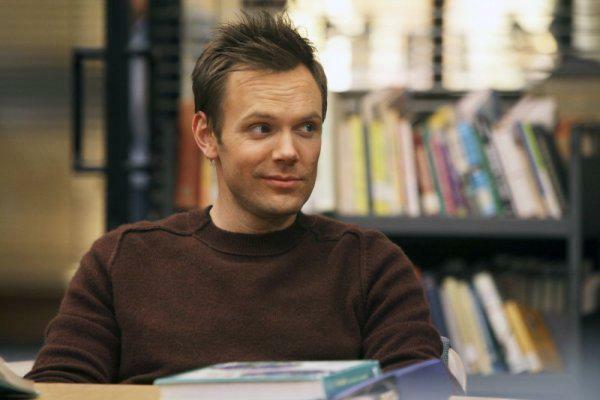 Joel McHale as Jeff Winger on ‘Community’. Photo by Harper Smith – © NBC Universal, Inc.
Reports late Monday are that Community, the cult NBC sitcom, is being sent to detention. The show, a compulsively meta, reflexively self-referential one-camera undertaking that follows a bunch of misfits at a community college, has lagged even amongst NBC’s lagging Thursday night lineup, and has now been bumped out of it. A New York Magazine post on the move reports that the show isn’t even mentioned in the NBC press release detailing midseason lineups. Whitney is being moved to Wednesdays, to be replaced in the Thursday night lineup by Up All Night, the Will Arnett/Christina Applegate/Maya Rudolph parenthood comedy. 30 Rock is also returning, and it will bump Community out. The changes will be effective in the network’s so-called midseason, roughly the second week of January. Secondly, Kabletown—I mean, Comcast—has had control of NBC for most of the past year, and could have smacked down NBC’s faltering Thursday night lineup a long time ago. NBC once ruled Thursday night, and now has a phalanx of critically respected but ratings-challenged redheaded stepchildren. Community is arguably a good as any of these (no small claim in a lineup that includes 30 Rock, The Office, and Parks and Recreation), but it has often been at the bottom of the network’s ratings barrel. In other words, the company has good reason to simply kill it off. But it didn’t. Finally, even the show’s naysayers note that if Sony, the company that produces the sitcom, really wants to make money off it in syndication, it might give NBC financial incentives to hobble through the rest of the third season and even a fourth in order to create a large enough pool of episodes for syndicating. And if Community doesn’t get a fourth season next year, maybe we’ll get some more episodes—and a Community movie!—in, oh, seven years or so.